Level Best Concrete Flooring the industrial concrete flooring contractor from Goole are now part way through a major contract using the companies concrete floor renovation system on an industrial scheme in Rugby, Warwickshire. 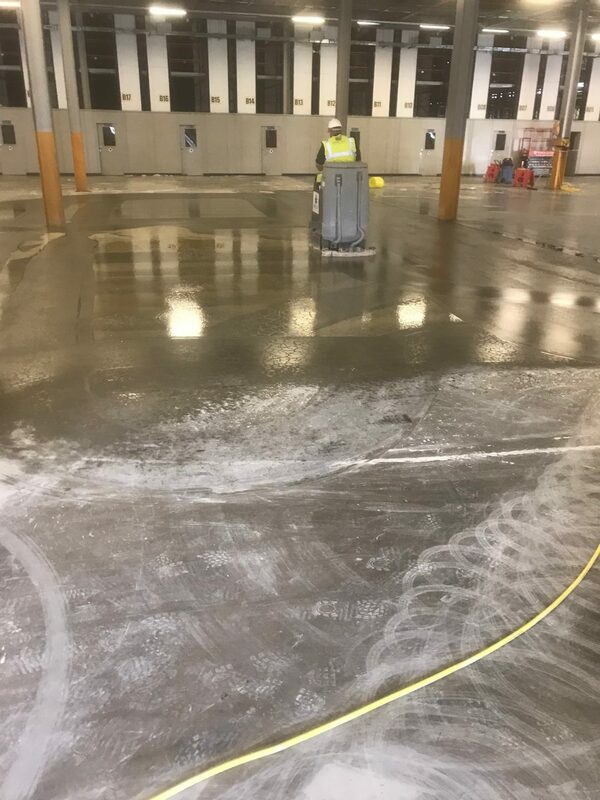 The scheme comprises of lots of concrete floor joint repairs, racking bolt removal, concrete floor grinding, concrete floor polishing and warehouse floor cleaning. The project is targeted for a completion date at the end of March 2019 and Level Best site teams will be working around the clock to achieve the end date.